Certified ACP products covering reaction to fire testing standards ASTM E84, & EN 13501-1 as well as ASTM D1929 for its self & flash ignition temperature test. 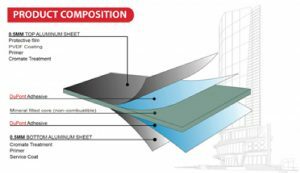 Wallspan- ALUCOPANEL® USA FR-A2 is composed of two sheets of aluminum alloy 3000 Series with 0.50 mm thickness on Top (Coated with high quality PVDF paint comes in various finishes such as Solid Colors & Metallic colors) & bottom (primer coated) that is sandwiched with mineral filled inorganic ingredients as core material, hence ALUCOPANEL® USA FR-A2 made with this technology have achieved World’s highest reaction to fire standard “Class A2-s1, d0” when tested in accordance to European Standard EN 13501-1, the product is best suitable for High-rise buildings and now A2 classification is mandatory requirement as per Latest Edition of UAE Life & Fire Safety Guidelines issued by Dubai Civil Defence. Inorganic ingredients of non-combustible core neither catches fire nor permit propagation of flame and restrict the development of smoke. The core material is bonded with high molecular adhesives, it’s free of voids, air spaces and does not contain foamed insulation materials. Wallspan- ALUCOPANEL® USA FR is composed of two sheets of aluminum alloy 3000 Series with 0.50 mm thickness on Top (Coated with high quality PVDF Paint comes in various finishes such as Solid Colors & Metallic colors) & Bottom (primer coated) that is sandwiched with mineral filled flame retardant ingredients as core material, hence ALUCOPANEL® USA FR have achieved “Class A” in accordance to ASTM E84, Class B-s1, d0” when tested in accordance to EN 13501-1, Class “0” when tested in accordance to British Standard BS 476 Part 6, “Class 1” when tested in accordance to British Standard BS 476 Part 7 which are mandatory requirements of relevant internationally acceptable standards and is best suitable for external and internal uses. Core of the panel are mainly composed of mineral which can resist fire, however a small amount of Polyethylene also included. Main ingredient (minerals) does not permit the propagation of flame and restricts development of smoke. The core material formed in a continuous co-extrusion process with high molecular adhesives. The core material is free of voids and air spaces and does not contain foamed insulation materials. 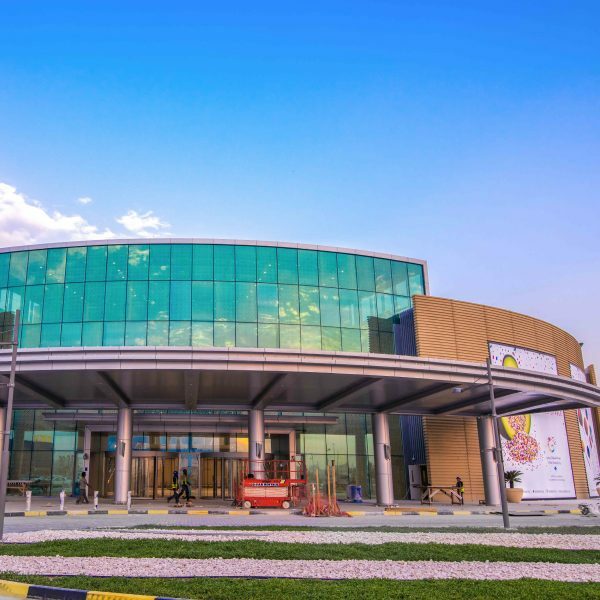 Wallspan- ALUCOPANEL® is registered trademark and it is manufactured by Alucopanel Middle East LLC located at National Industries Park in Dubai, UAE. 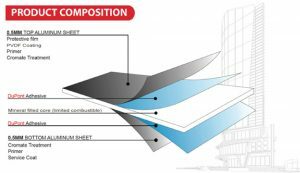 ALUCOPANEL® is a leading brand of Aluminum composite panels in Dubai and is also the focal brand of Alucopanel Middle East LLC that happens to be a child company of the renowned Danube Group. ALUCOPANEL® main facility is situated in the National Industries Park of Dubai, UAE while its sales & support offices are present in entire UAE, Oman, Bahrain, Qatar & Saudi Arabia.